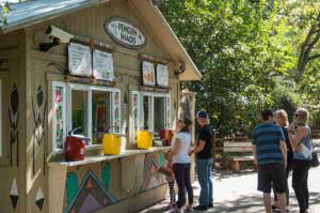 Zoo guests will find convenient restaurants and concession stands located throughout the Zoo. Eateries include Pizza Hut, Dickey’s Barbeque, Ranch Grill, Zoo Creek Cafe, Burger King, Jungle Grill and ice cream parlors with Bluebell ice cream. Enjoy juicy burgers, chicken sandwiches, hot pizza, hot dogs, nachos and more. Wash lunch down with an icy soft drink or top it off with a hand-dipped ice cream cone. Don’t forget, Zoo members receive a 10 percent discount at Zoo restaurants! Deep in the heart of Texas Wild!, situated in a turn-of-the-century western town, is Bluebonnet Cafe, an indoor/outdoor dining location that offers a variety of food options, ample seating and a rustic, Texas-style dining room complete with a large stone fireplace. From mouth-watering Dickey’s BBQ to hot and cheesy Pizza Hut to hotdogs and juicy hamburgers at the Ranch Grill, there’s something to satisfy everyone’s appetite. Looking for something healthy on the go? Grab a salad, yogurt parfait or fresh fruit from the Grab and Go case and continue your trip through Texas Wild! 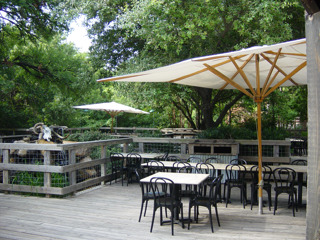 or enjoy a lunch on the open-air deck. 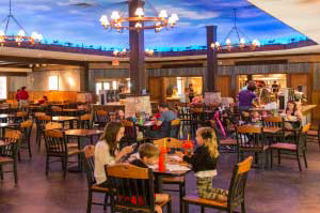 Stop for lunch at the Savanna Grill located in the African Savanna marketplace. With options like hamburgers, corn dogs and the delicious peri peri chicken kabobs, there’s something to please even the pickiest palates. Soft drinks, water and ICEEs are also available to complete your meal. Everyone’s favorite futuristic ice cream is on location at the Zoo in Asian Falls near the Malayan tiger exhibit and in African Savannah across from the elephant exhibit. Enjoy a refreshing treat with a variety of flavors while you “chill” with the animals. 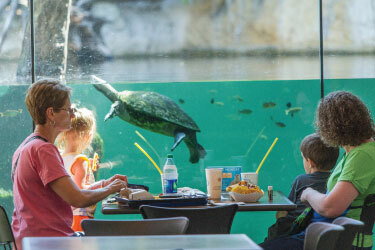 Pick up a snack before peeking at the meerkats and watching the hippos swim underwater. 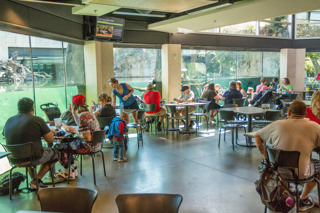 Safari Snacks offers lite bites and drinks and is located between the meerkat and hippo exhibits. Splash Snacks offers a variety of light bites, including sandwiches, side salads and fruit, along with chips and drinks for guests to enjoy. Located on the Zoo’s main path directly across from the Penguins exhibit is Penguin Snacks, a great stop to grab a bite to eat or a tasty sweet treat. Take a seat on the nearby picnic benches to enjoy a hand-dipped corn dog and an ice-cold soft drink or grab a favorite snack like freshly popped popcorn or cotton candy. Stop by Zoo Creek Cafe and enjoy a juicy burger, classic hot dog, grilled chicken sandwich, cheesy nachos and kids meals. Wash lunch down with an ice-cold soft drink in a Fort Worth Zoo souvenir cup. Enjoy your meal indoors or outdoors on one of the adjacent shaded picnic benches. Located along the main path by the Museum of Living Art (MOLA), Crocodile Cafe offers a variety of food options and both indoor and outdoor seating. Enjoy a Whopper and fries at Burger King, ice cream, yogurt and ICEES at the Ice Cream Shoppe or gourmet grilled cheese and turkey burgers at the Jungle Grill. Grab a spot outside and catch some rays or take a seat indoors for an up close look at the Zoo’s gharial crocodiles, turtles and saltwater crocodile. Stop in the Zoo’s Ice Cream Parlor for a delicious scoop of Texas’ own Bluebell Ice Cream. Located in Texas Wild!, the Ice Cream Parlor is a one-stop shop for soft drinks, sundaes, shakes and ice cream. Whether you prefer chocolate chips or gummi bears, the toppings bar has something for everyone and is the perfect addition to your sweet treat. Pick up a confection to enjoy as you continue your journey through Texas Wild!. 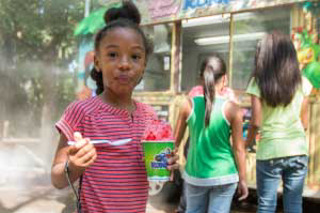 Cool down with a Kona Ice as you explore the Zoo on foot. Create a custom shaved ice with your pick of a number of juicy flavors. You’ll find the Kona Ice truck nestled in the Australian Outback exhibit. As you travel through the Asian Falls exhibit, make a pit stop at Tiger Treats for a quick snack to grab and go. Take a soft pretzel, cotton candy or juicy pickle with your soft drink, ICEE or bottled water on the main path as you explore the Malayan and white tigers. The Zoo offers several outdoor picnic areas with seating in shaded locations throughout the park, perfect for lunch or even a snack! Please note that lids, straws, glass containers and alcoholic beverages are strictly prohibited. If you bring a cooler, you are welcome to return it to your vehicle after you enjoy your meal, just be sure to have your hand stamped at the front gate before you exit in order to re-enter the Zoo. From T-shirts and baseball hats to books and decor, the Fort Worth Zoo's Zoovenir shops have everything you're looking for! Shops are also stocked with rain ponchos, umbrellas, sunscreen and disposable cameras. Fort Worth Zoo members save 10 percent on all merchandise. Looking for a Fort Worth Zoo keepsake or souvenir? The General Store in Texas Town is home to several unique gift ideas including Zoo coffee mugs, cups and T-shirts. You will also find stuffed animals, bookmarks and a variety of stones and gems. Be sure to visit the General Store and take a little part of the Fort Worth Zoo home with you. Located at the front entrance, the Safari Shop has your Zoo souvenirs and any of those often left-at-home items. Stop in before you begin your journey to pick up sunscreen, batteries or diapers or on your way out for Fort Worth Zoo novelty items like mugs, T-shirts and hats. The Safari Shop also has a variety of toys and games and other gift items. Whether you stop by at the beginning or end of your trip at the Zoo, visit the Safari Shop while you’re here. Located in the Savanna Marketplace, Safari Traders is a small gift shop full of treasures and keepsakes. From Fort Worth Zoo hats and coffee mugs to decorative animal masks and hand-beaded jewelry made from recycled Zoo paper, you’re sure to find the perfect item! Visit Safari Traders on your way into the African Savanna or on your way out for a Zoo souvenir. Planning to feed giraffes during your visit to the Zoo? Stop by the Giraffe Cart to purchase your lettuce leaves – the perfect giraffe snack! Near the entrance of Texas Town is an authentic, classic candy shop full of old favorites and new finds, including a variety of flavors of delectable homemade fudge. Toadally Texas Treats, is filled with Fort Worth Zoo novelty items, Texas souvenirs and unique personalized gifts. 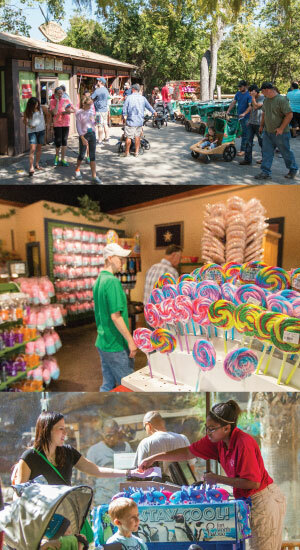 Stop by for some fantastic fudge, sweet and sour candies and a unique memento from your time at the Fort Worth Zoo. Tropical Treasures carries splash park necessities like sunscreen, towels, swim diapers and other swimwear, as well as souvenirs and Safari Splash-approved water toys. Check out Wild Moments Photography (next to Zoo Creek Cafe), featuring green screen technology that superimposes Zoo guests in animal exhibits for a one-of-a-kind photo. During the spring and summer, additional merchandise carts are set up by the zebra, elephant and Penguins exhibits.